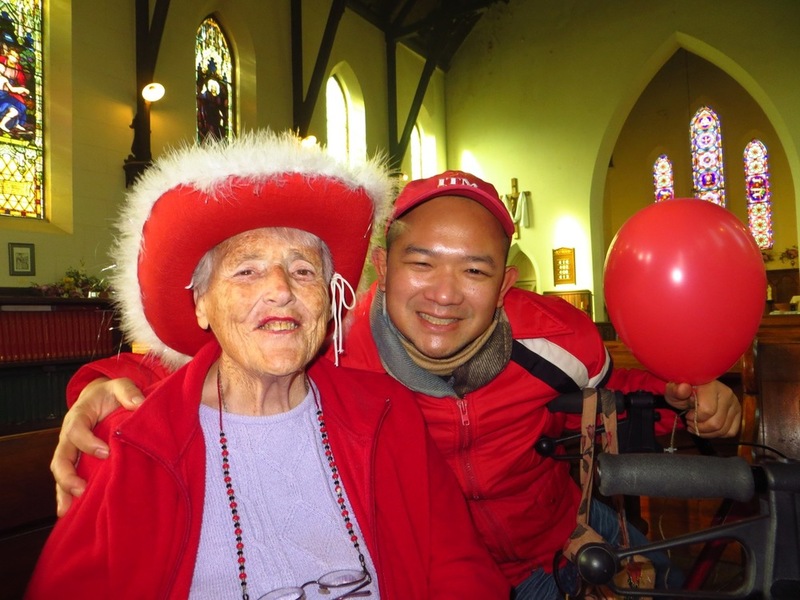 On December 20th, a wonderful "Festival of Carols" was held at Christ Church. 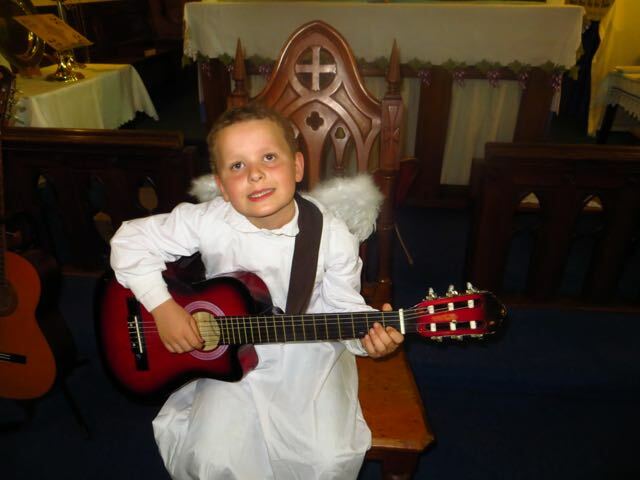 The choir and congregational singing was accompanied by Peter Hagen, and the children sang a medley of Christmas Carols accompanied by Caroline on the guitar, and Gareth (our youngest musician) enthralled everyone with his guitar solo. 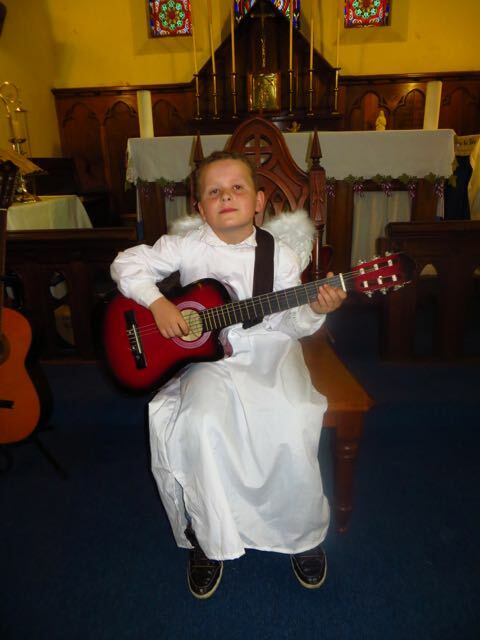 During the service, the children acted out the telling of the Christmas Story. A happy and blessed Christmas to you all from the Parish. 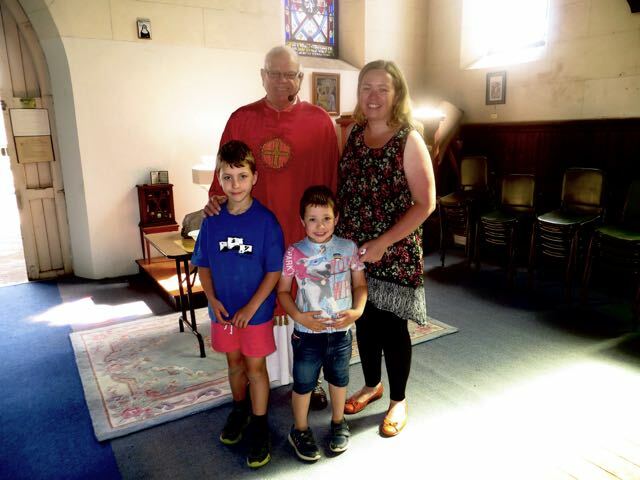 It was with sadness that parishioners at Christ Church farewelled Andrew and Nerrida Prosser and their children Archie and George, as they moved from the area. With many thanks to them all for their contribution to the parish, particularly in the ministry to young people and Church 4 Kids. With many blessings to you all. You will be sadly missed. 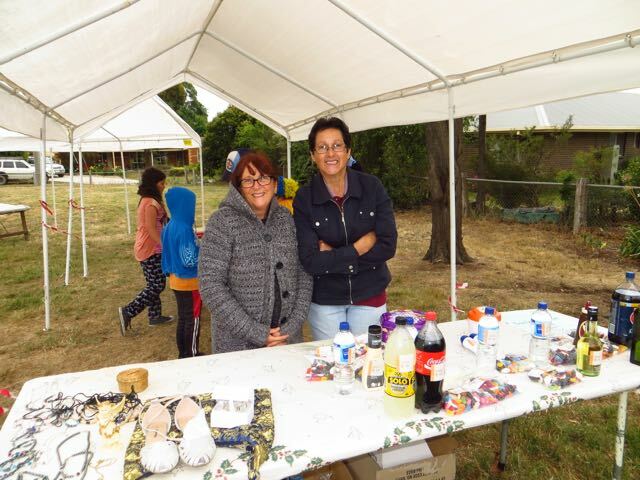 Despite it being just ten days from the start of summer, our Parish Annual Fete was held on November 21st and was one of the coldest days of spring. Despite the howling wind which felt like it was blowing from the snow somewhere, a great day was had. Many thanks to all the hard workers, as well as all the happy customers. 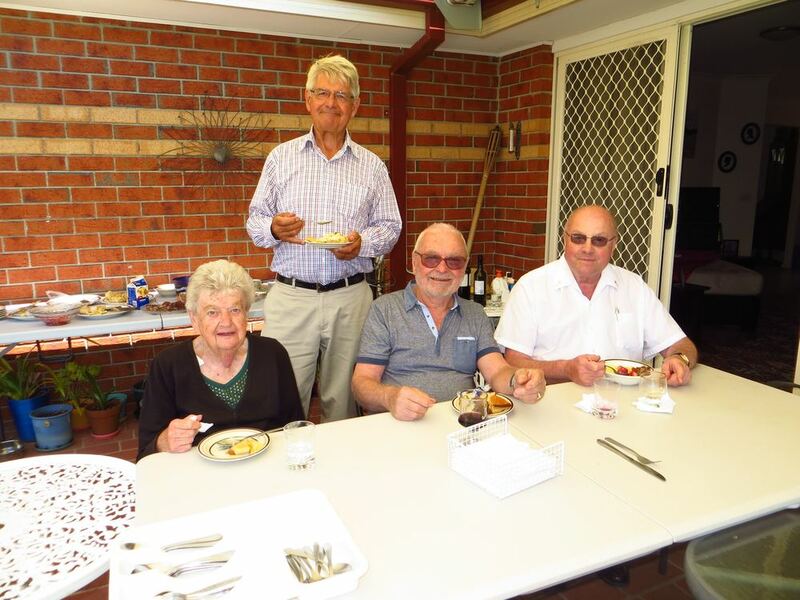 In what has now become our 'tradition' - parishioners gathered for a "Chicken and Champagne" Melbourne Cup luncheon with all money raised to be sent to the Anglican Board of Mission. Thank you everyone for making the day so successful and for contributing to such a worthy cause. All Soul's Day, is a day where Christians pray for and remember their loved ones who have died. 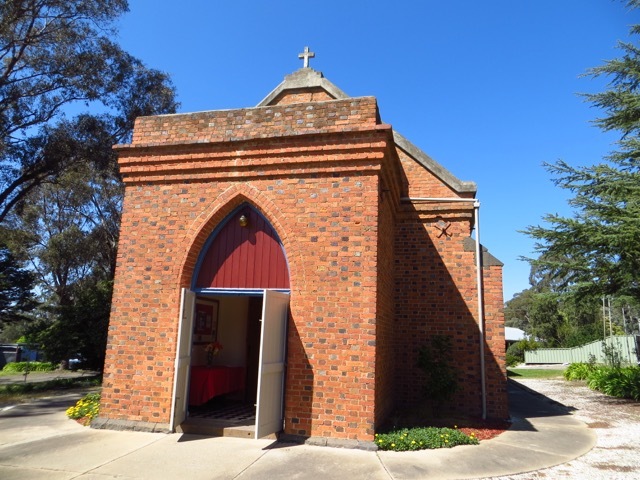 Pictured below is the tranquil setting of our All Souls' Day church at St Stephen's, Tallarook. What a fantastic afternoon of musical talent when the girls of 'Salvation Jane' came to entertain us. The acoustics in Christ Church were amazing and highlighted the wonderful talent of the girls. 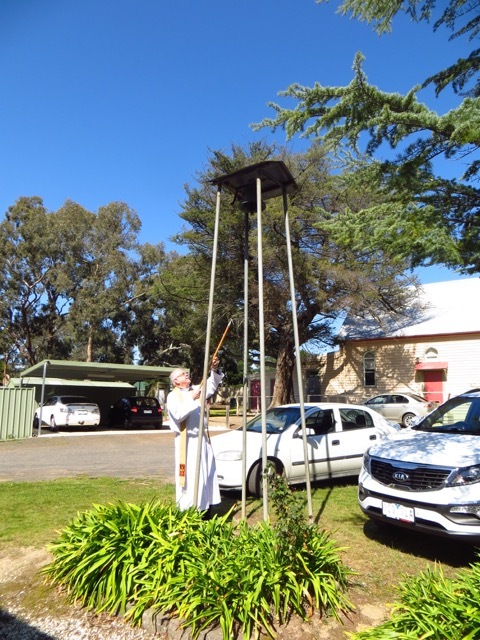 With thanks to the Kilmore Mechanics Institute for organising the occasion. 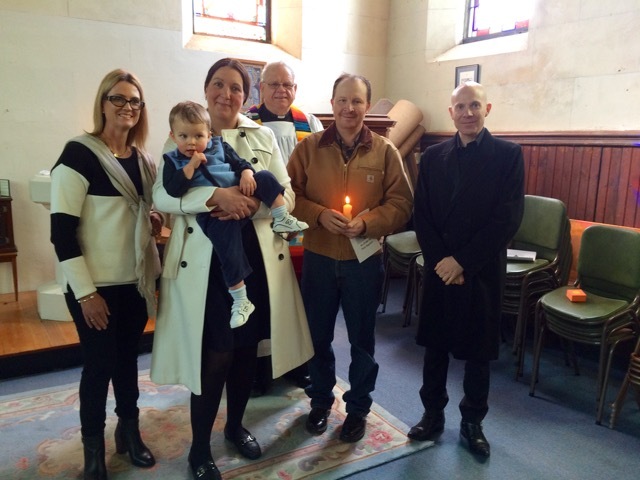 It was with sadness that at the Sunday Eucharist at Christ Church on October 25th, we farewelled David 'Sou'. 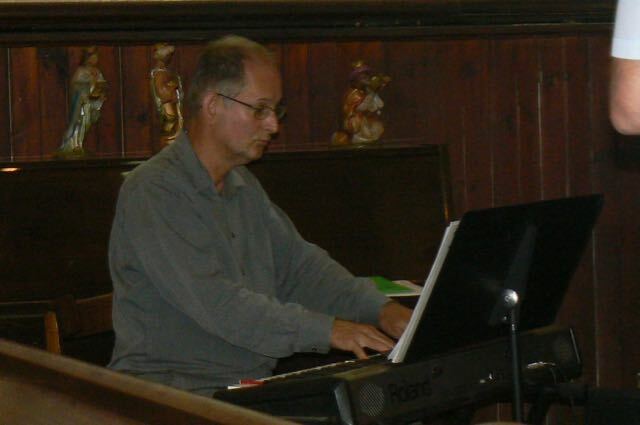 David had been with us for a couple of years, but was going back to Thailand for start new employment. 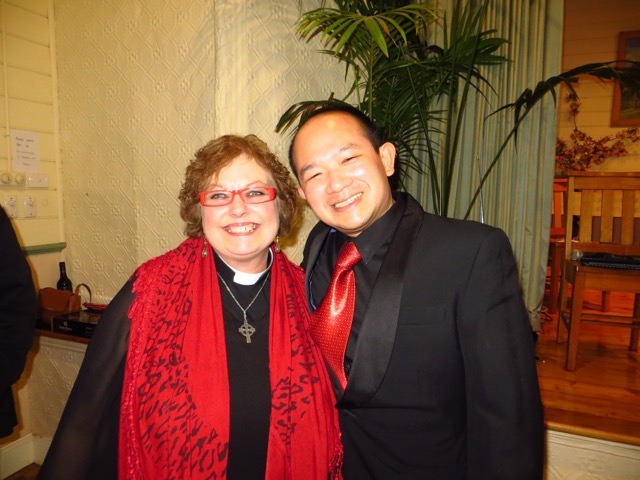 Our love and prayers go with you David, and we wish you well for the future. 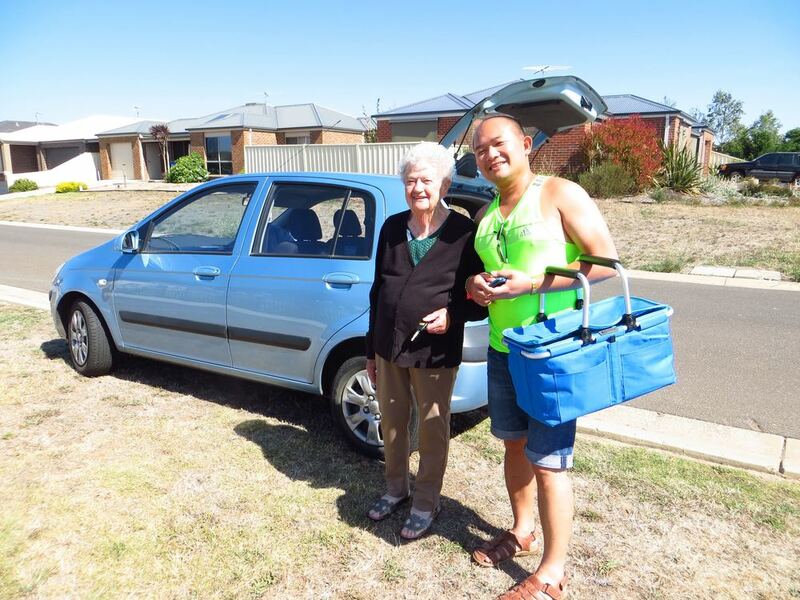 Thank you to everyone who came and supported us at Bunnings at Craigieburn for the second of our 2015 Fundraising BBQ's. 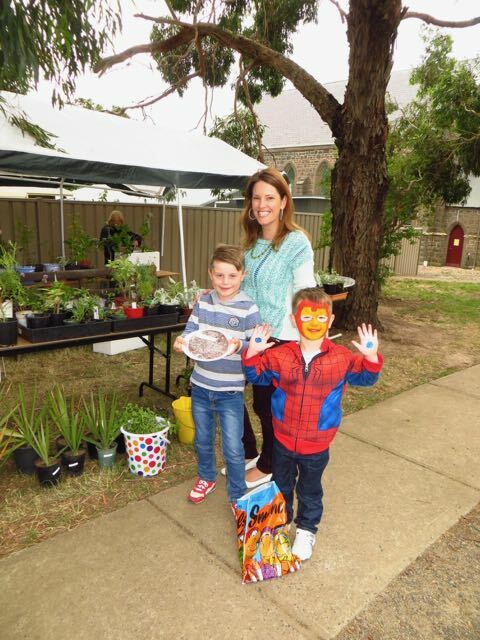 Thank you, too, to Bunnings for enabling community groups such as ours, to come and raise money for our parish. 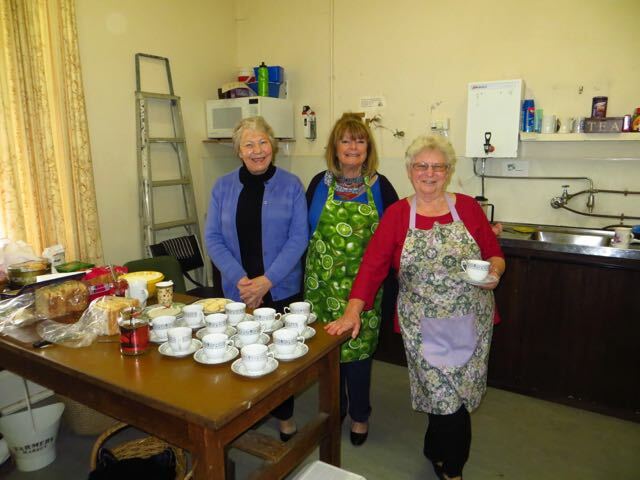 Four of our busy team of workers. 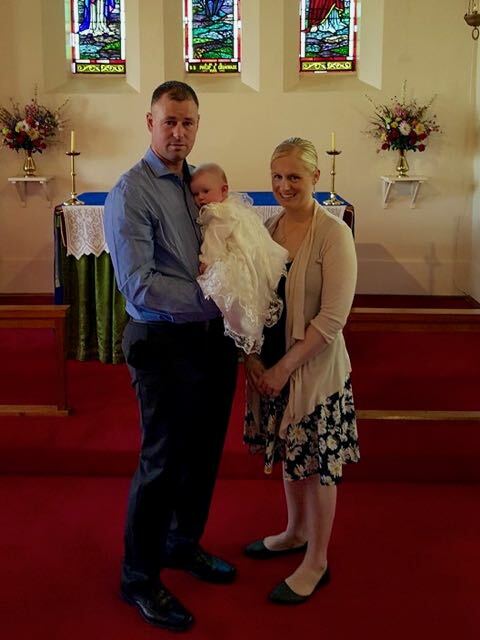 It was lovely to welcome into our Christian family through Baptism, Chloe Burrows at St Matthew's, Broadford on October 18th. We welcomed too, her parents Stephen and Sarah, her Sponsors, family and friends. 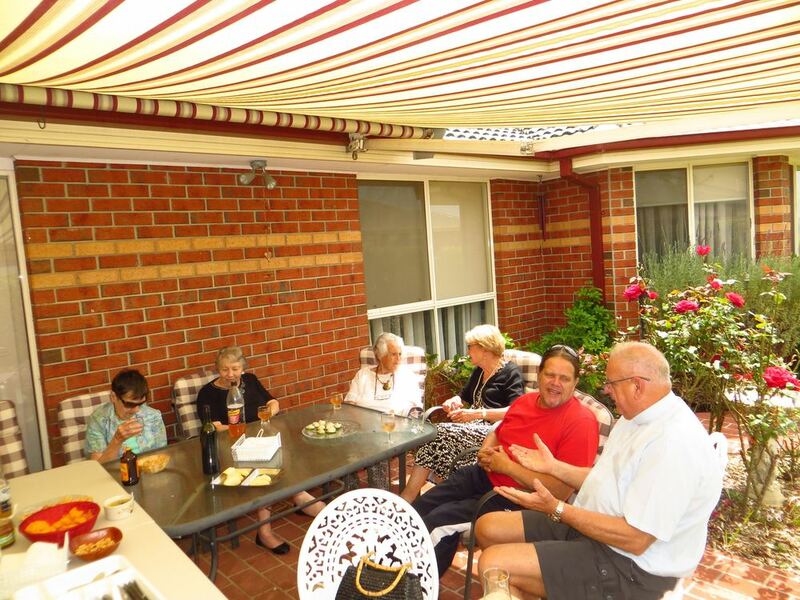 Our monthly parish BBQ's have now been running for the past five years and continue to be a great source of enjoyment and parish fellowship. 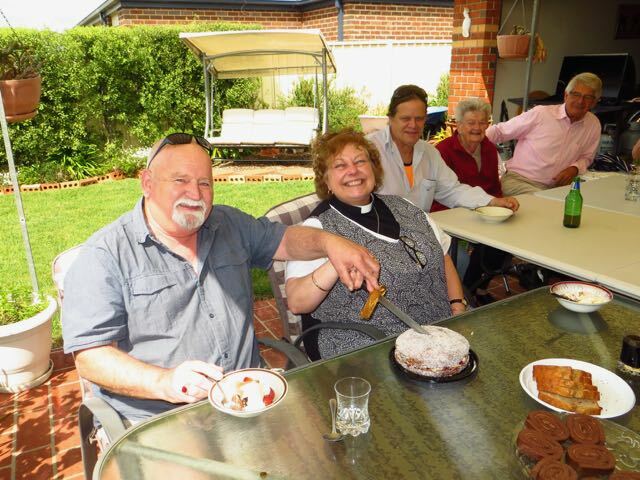 Our October BBQ had the added bonus of helping celebrate the 29th wedding anniversary with Deacon Maryann and husband John. 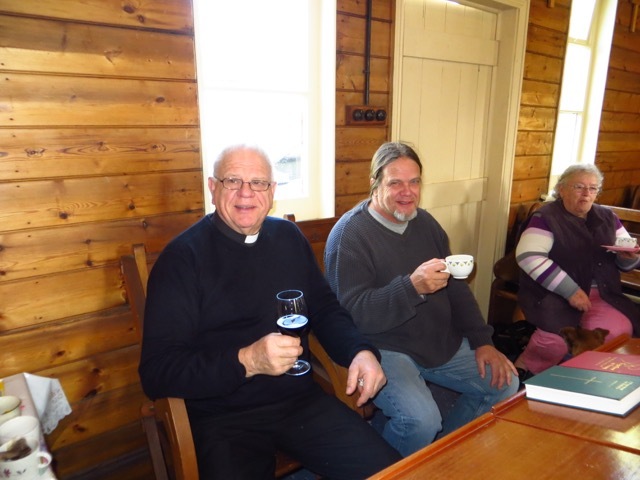 The 2015 Episcopal visitation by Bishop John, took the form of a three day visit to the parish - and what a wonderful three days it was. 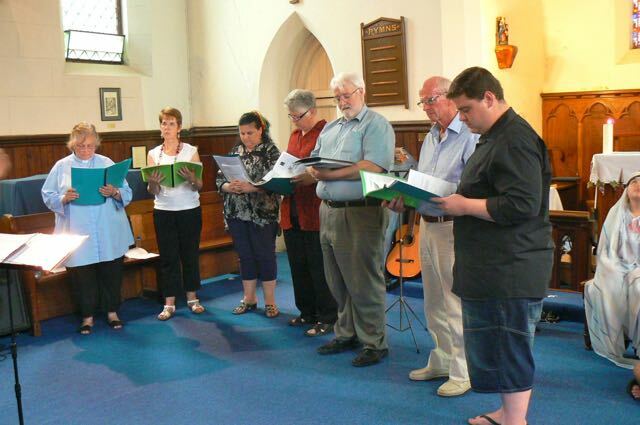 The programme was full and varied. 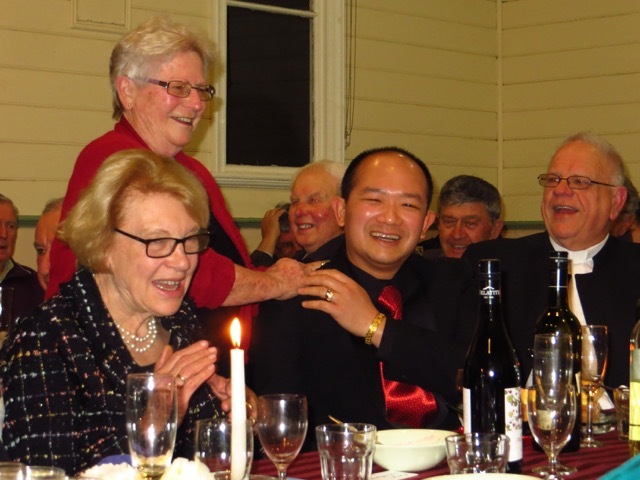 Day 1 included a Gavan Hall Dinner with Bishop John as 'guest speaker'. 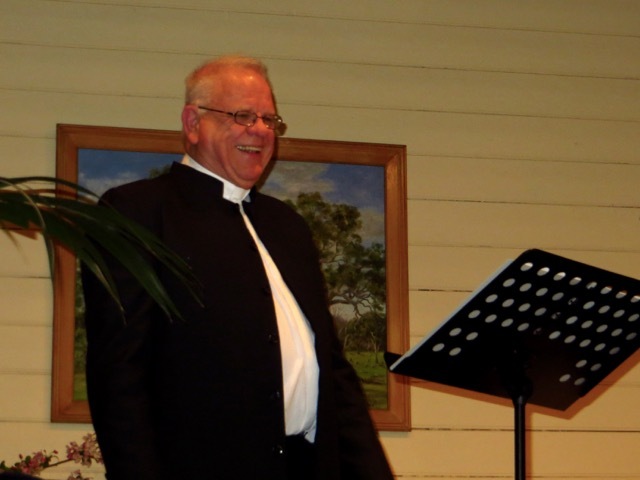 The topic for the evening was "The Relevance of the Church in the World today", with many questions from those in attendance, and frank discussions with the Bishop. 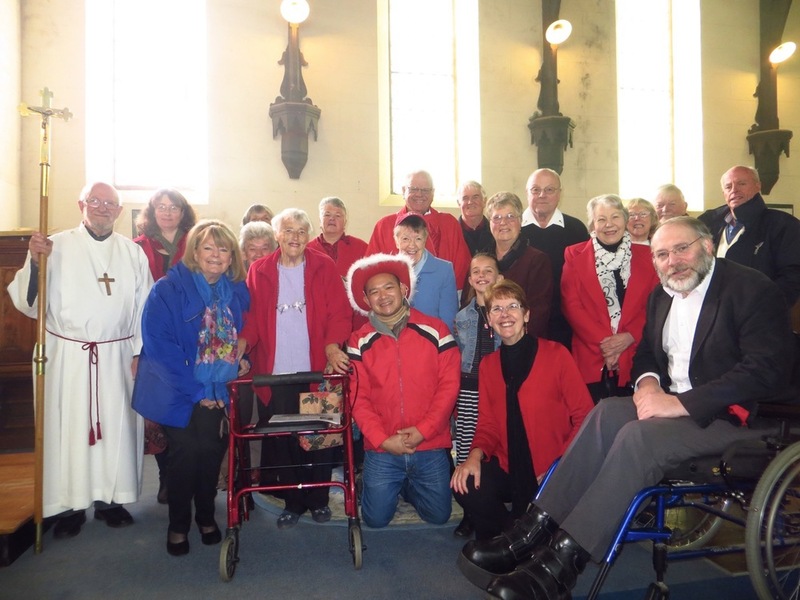 Day 2 saw a number of parishioners take part in a time of "Prayer and Meditation" at Christ Church, with sessions run by both Bishop John and Father Kim. 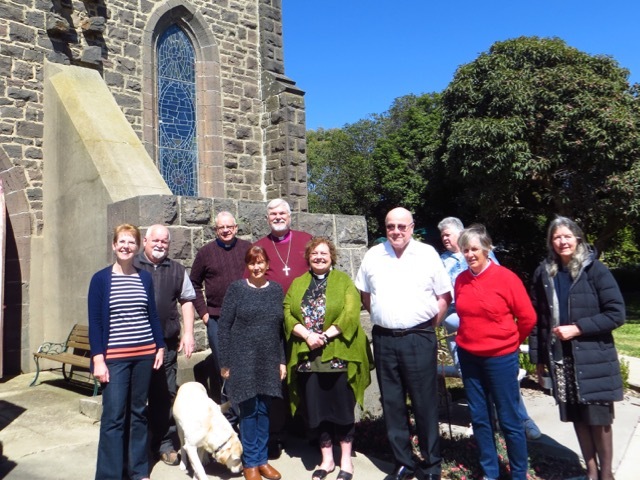 In the evening of Day 2, Parish Councillors met over dinner with Bishop John with fine food, wine and wonderful conversations and the presentation of the Parish Strategic Plan. 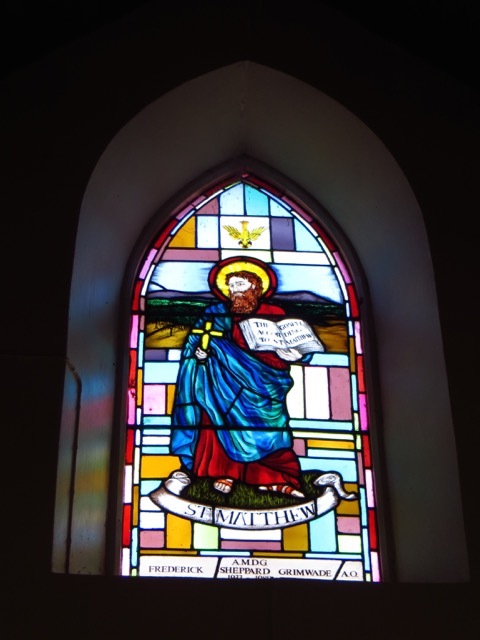 Day 3 saw the Parish Confirmation take place at St Matthew's Broadford, combined with the Patronal Festival, all followed by a bring and share lunch (yes....more food!). 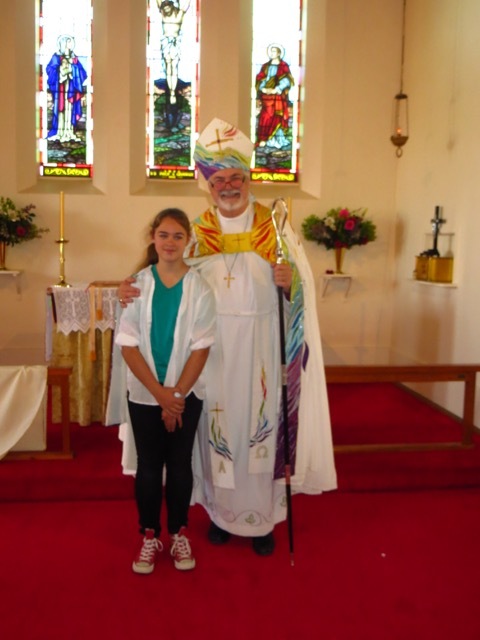 Congratulations to Carolynne, Lucy and Jack who were Confirmed by Bishop John. 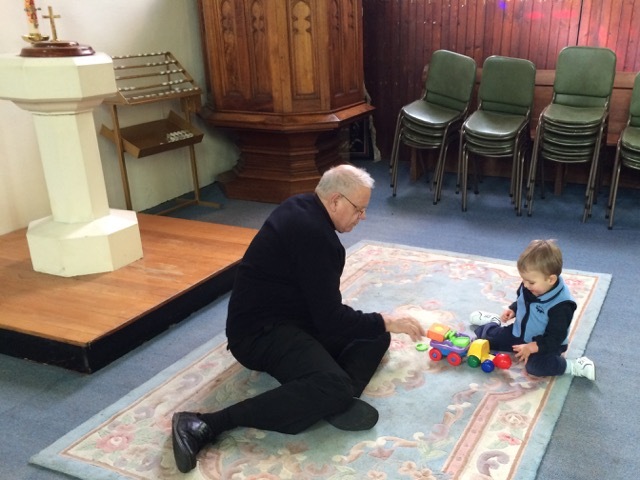 The final session for the three days with our Bishop was Church 4 Kids on Sunday evening. 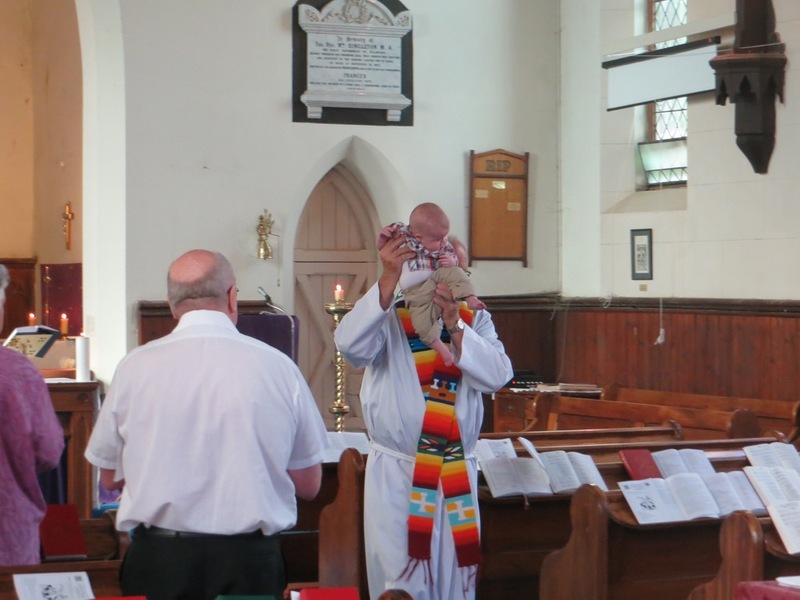 The children have always been fascinated by Bishop John's "big hat", so that was the activity for the evening - and we ended up with a group of 'mini Bishop's' all wearing their very own Mitres! See below for photos of a very enjoyable three days (and go to our "video page" to see some of the entertainment at Gavan Hall! 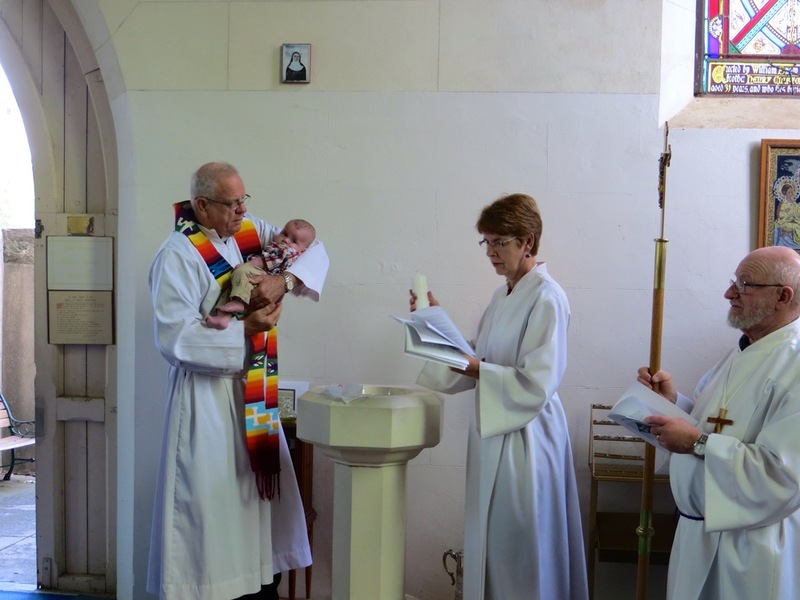 A busy Sunday in the parish with Saint Stephen's Patronal Festival in the morning followed by lunch, and then in the afternoon it was a joy to welcome the Cicone and Wigg families for the baptism of George Andrew Cicone. 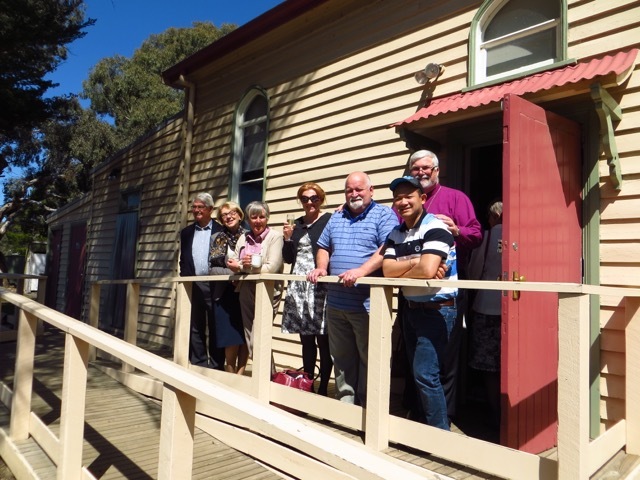 On the morning of August 2nd, parishioners from Kilmore, Broadford and Pyalong, joined with those from Tallarook to celebrate St Stephen's Patronal Festival. 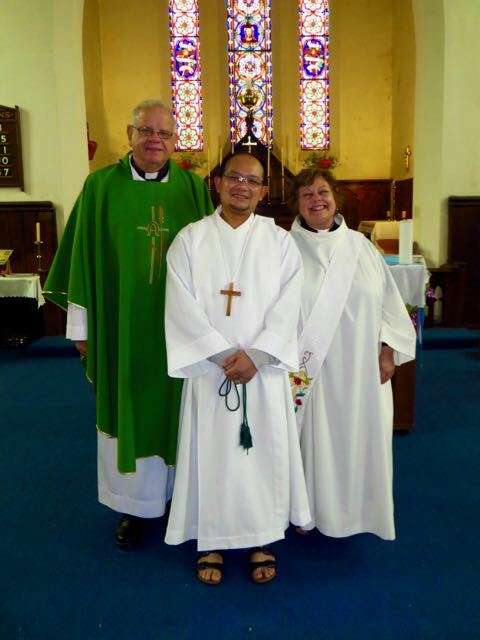 A joyful Mass with thought provoking sermon (would WE really want to be a Martyr like St Stephen?? 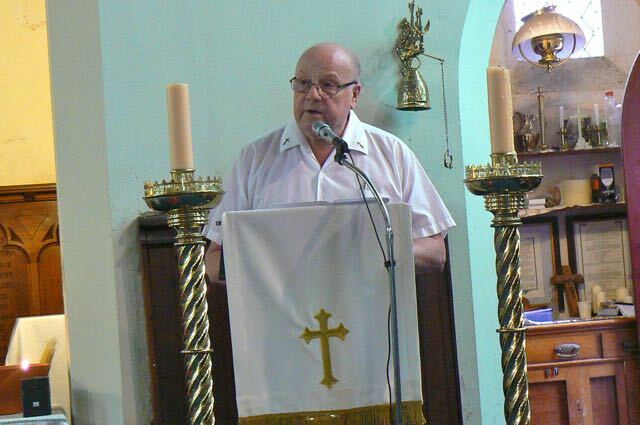 ), was followed by a wonderful luncheon in the church. 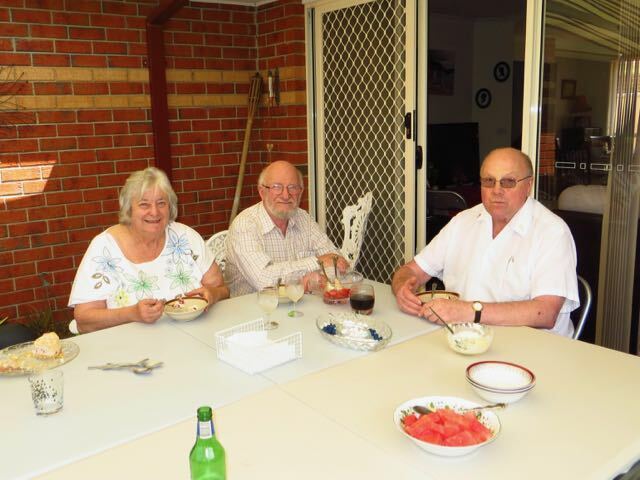 Ian Staring, warden for St Stephen's, welcomed all present, particularly ex-parishioners Heather and Hans deNiet who were visiting from Queensland. Ian thanked everyone for their support in helping celebrate the day. 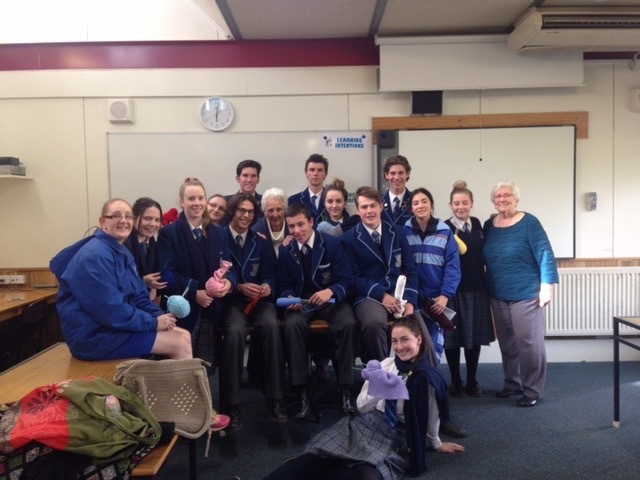 For all of Term 3, the VCAL students at Assumption College in conjunction with St Vincent de Paul, worked on a project to help those in need. A call was put out to the school and wider community asking for wool, knitting needles and knitters! 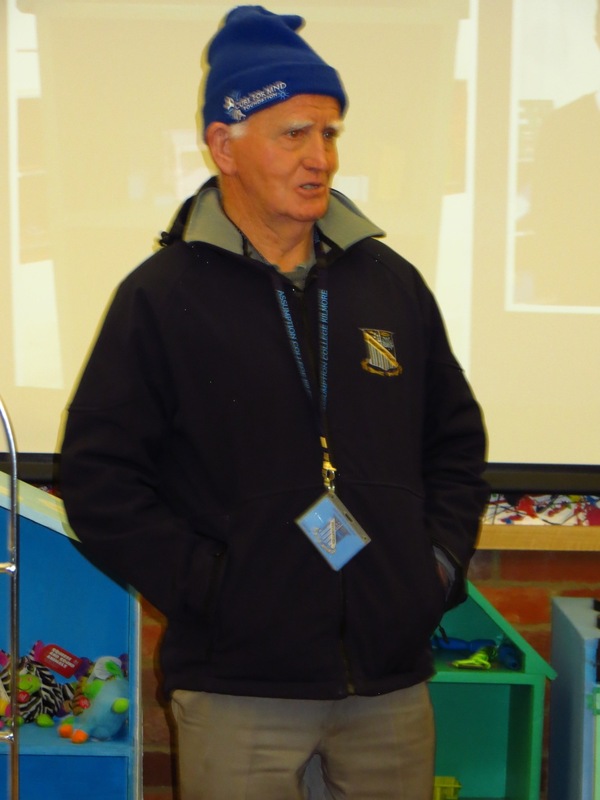 Parishioners in our parish responded to the call and before long scarves, beanies and knitted squares were donated to the students to pass on to "St Vinnies". 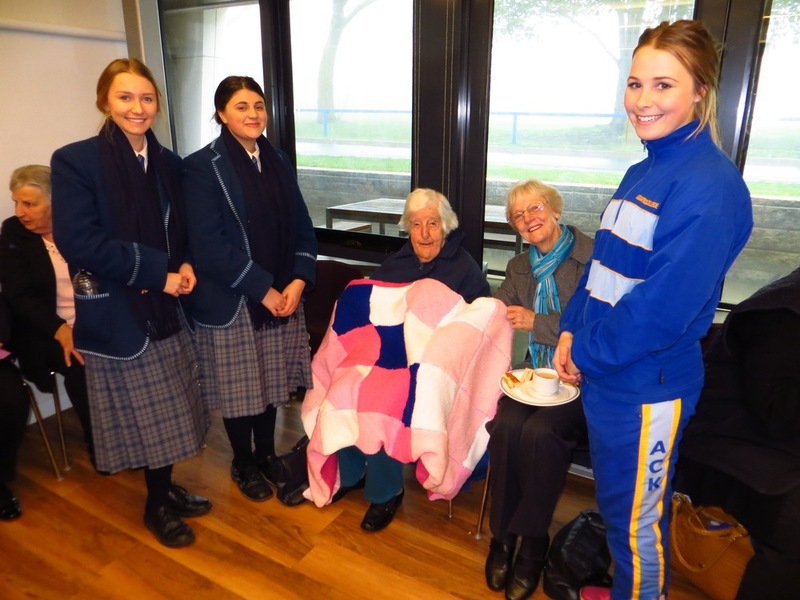 On Friday 24th July, Beryl and Dot from Broadford represented the parish when the VCAL students invited those from the community who had assisted them, to a special morning tea at Assumption College. 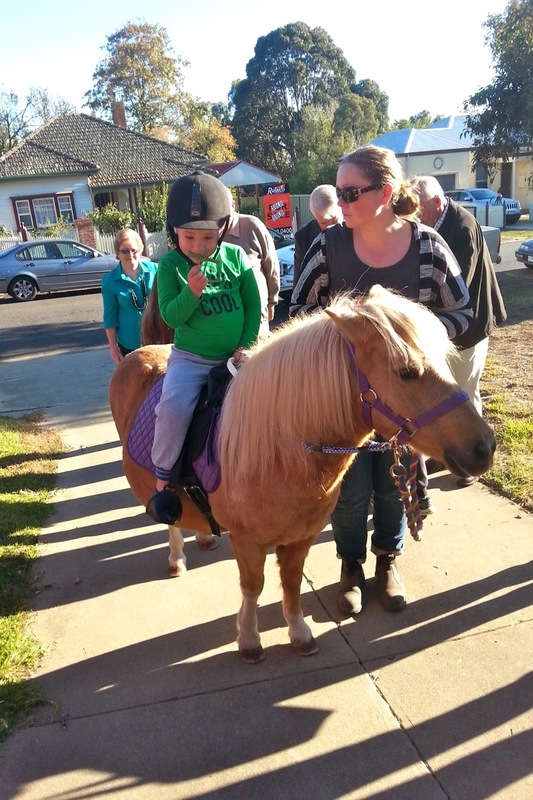 Every year on the last weekend in June, the Kilmore community enjoy the annual Celtic Festival. With Irish dancing, pipe bands, Irish singing and much more, the weekend is filled with all things 'Celtic'. 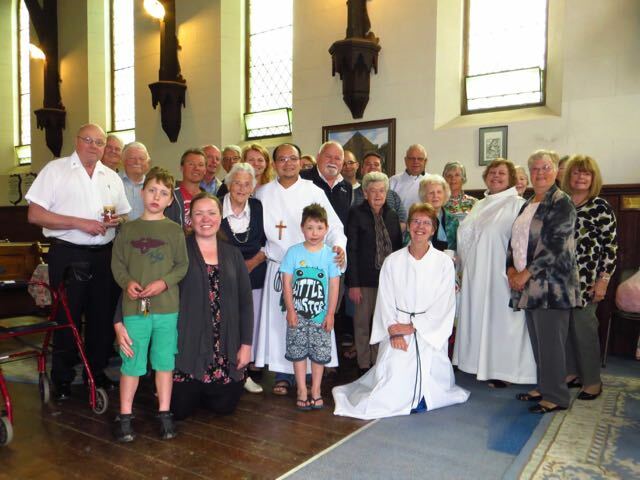 For the last ten years or so, as part of the weekend programme, the Anglican Church in Kilmore has hosted the Celtic Mass on the Sunday morning. 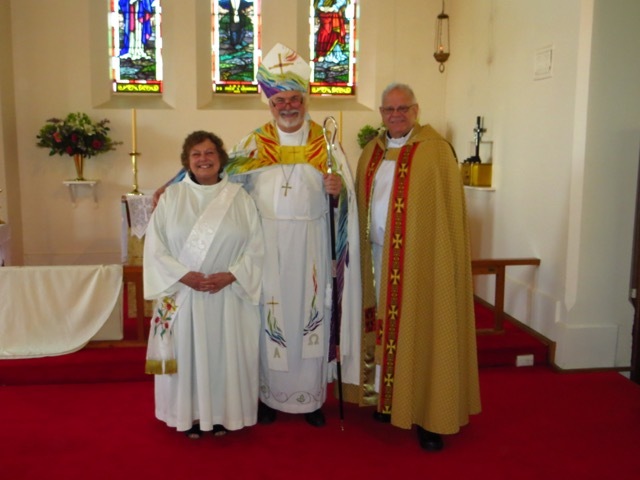 We have been blessed with the clergy in our parish (both past and present) who have embraced this event. 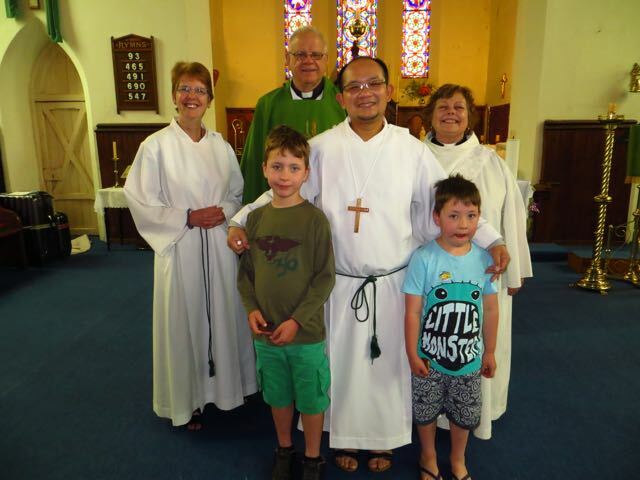 Once again this year a warm welcome was extended to the wider community from the parish. 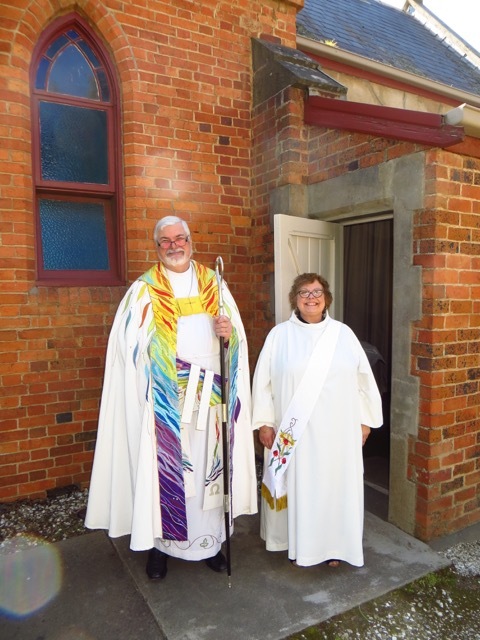 The Mass consisted of specially chosen Celtic hymns and prayers and it was wonderful to see parishioners Ken and Peg Raeburn (pictured) from Pyalong come dressed in their national tartan. 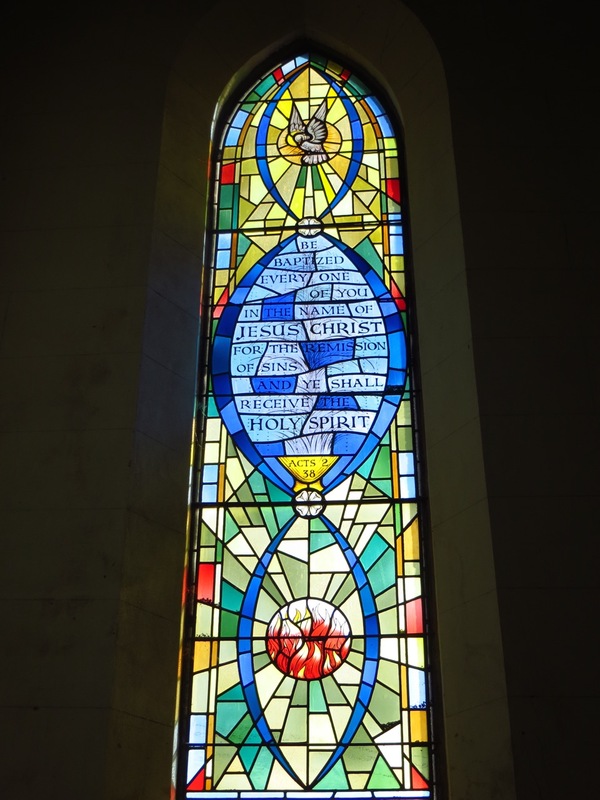 The Feast of Pentecost was celebrated with style in the Parish of Kilmore on Sunday 24th May, with many parishioners wearing red, the odd red balloon floating around, wonderful Pentecost hymns, and a spirit filled sermon and intercessions. 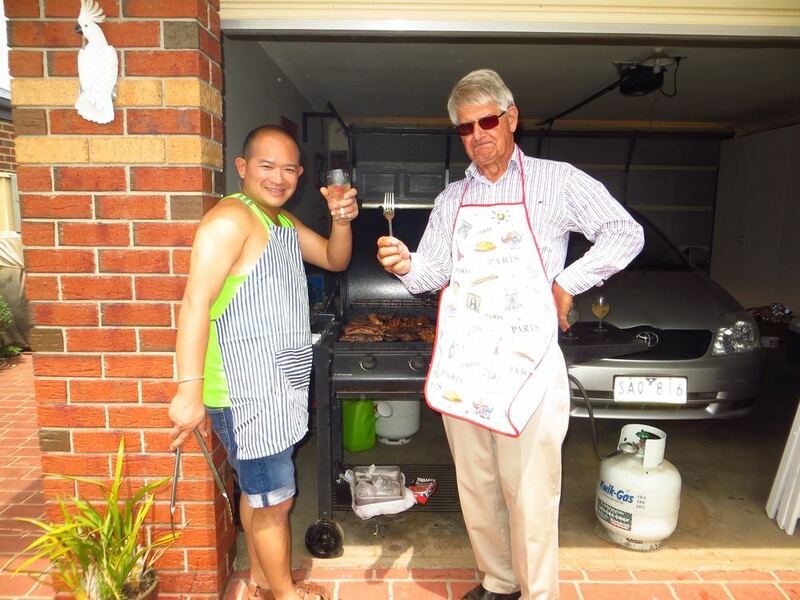 Our monthly Parish BBQ's have been going for about 4 years now, and what great occasions they have been. 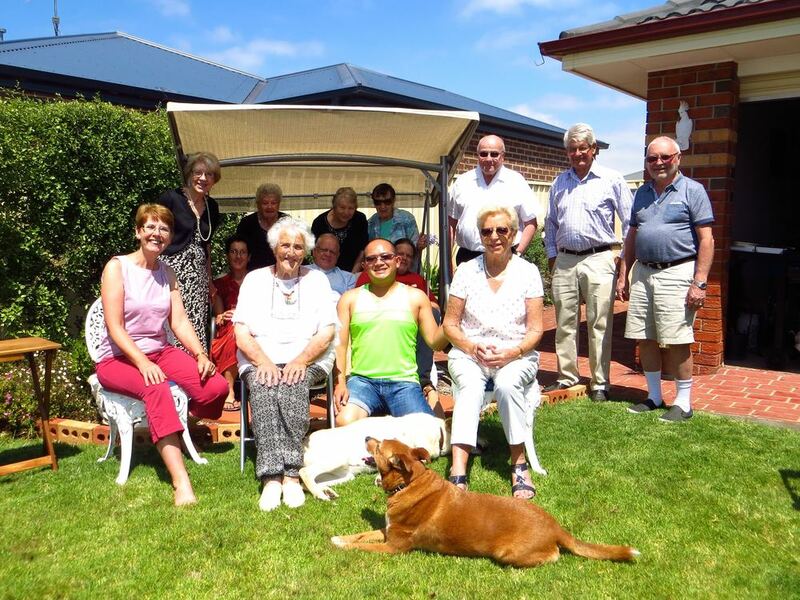 With Parishioners from all parts of the parish welcome, and different parishioners hosting each month, they are a time to sit back and relax and spend time together. 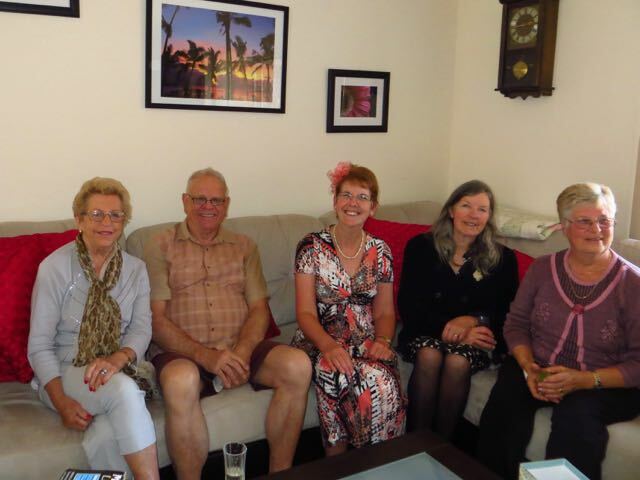 This month's BBQ was held on Sunday 17th May. 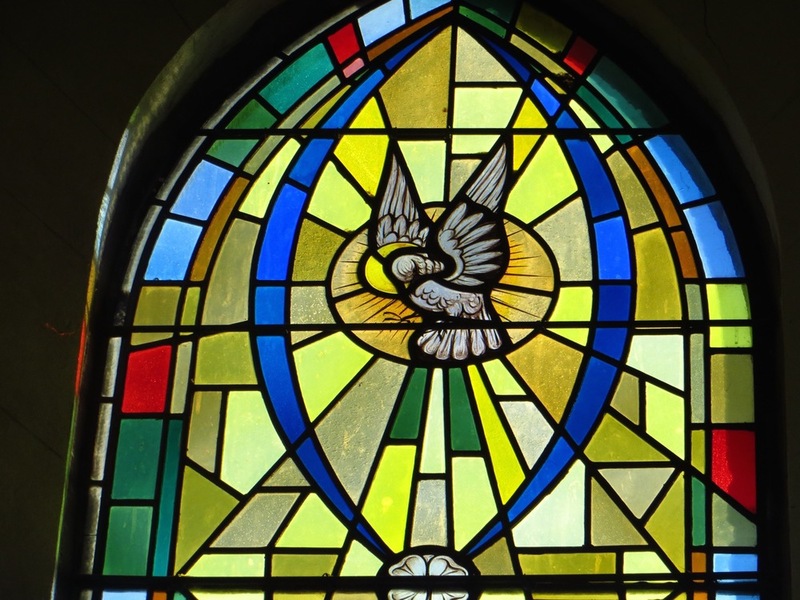 For future venues, check out the Pew Sheet and Parish Calendar. 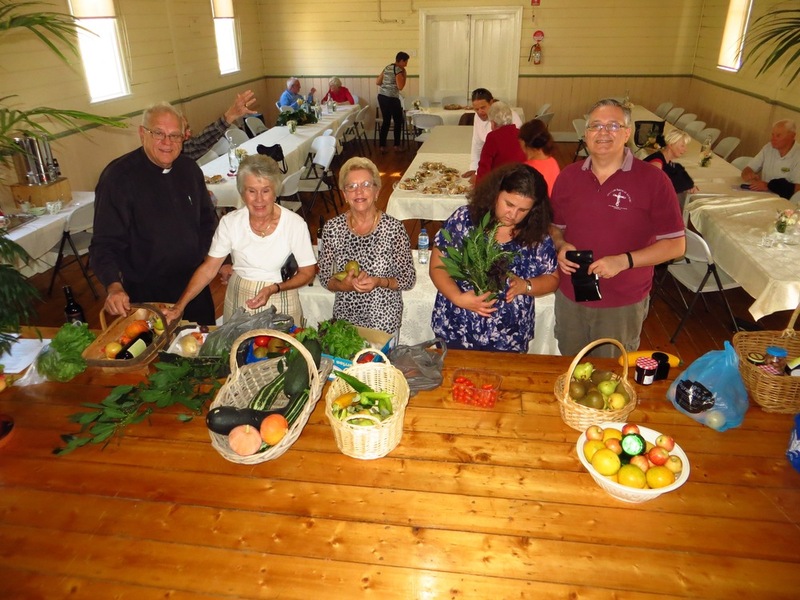 Holy Week and Easter in any Parish is always a busy time. Our Parish is no different. We started off Holy Week with a Palm Sunday procession around Christ Church. 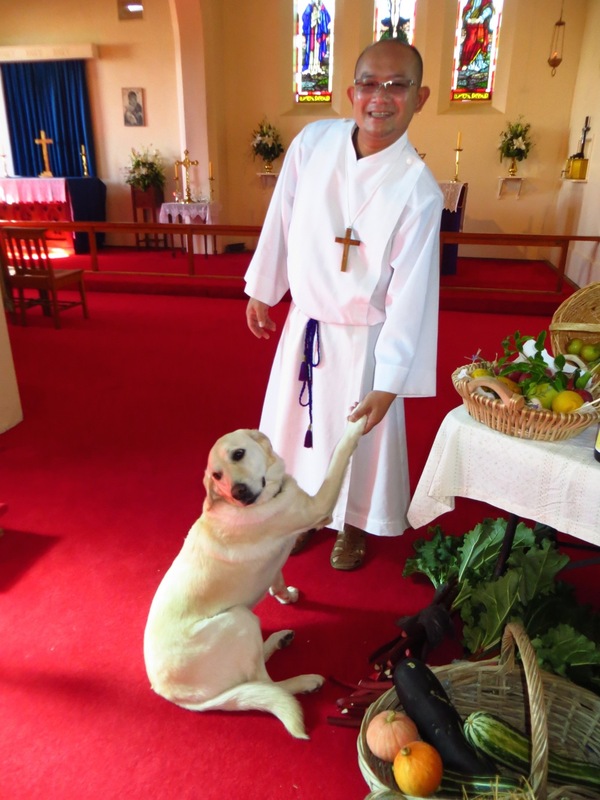 With the congregation waving palm branches and palm crosses made by the people of the parish, and a donkey (actually a miniature pony) walking in procession with the people - it was a wonderful occasion. 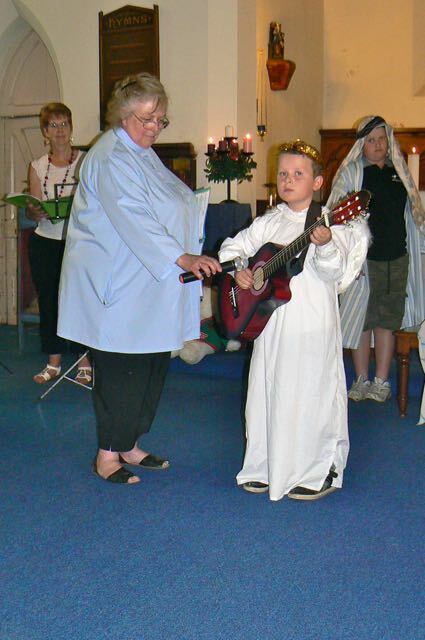 The 'donkey' then entered the church to the congregation singing "We have a King who rides on a donkey". What a great way to start off Holy Week. 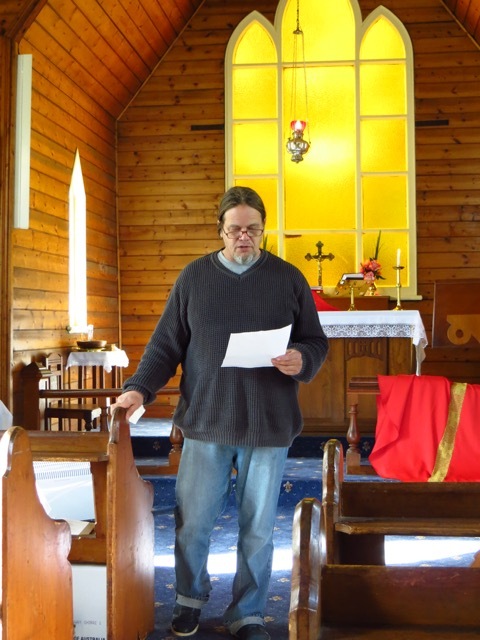 Holy Week then moved on in a more reflective mode with Services of Tenabrae offered each evening in Tallarook, Broadford and Kilmore. 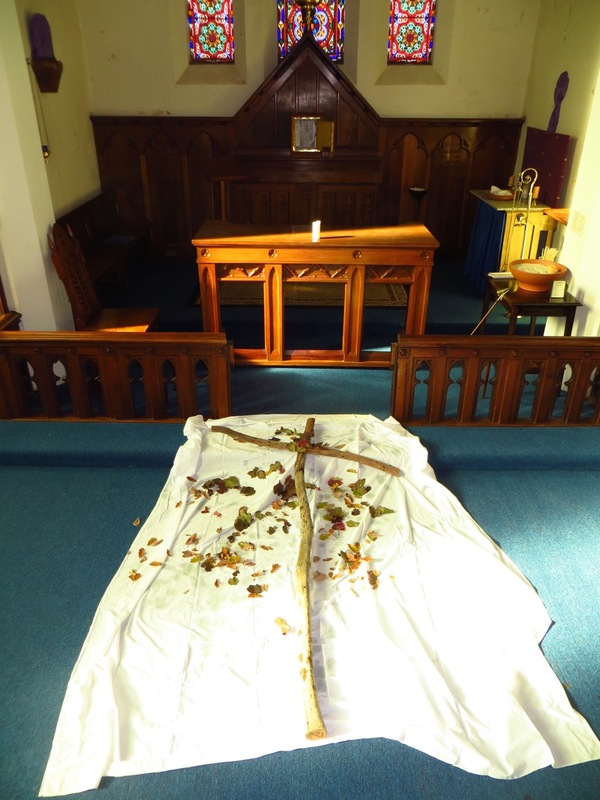 Our Maundy Thursday Eucharist had the traditional 'washing of the feet' and the stripping of the Sanctuary and Altar in readiness for Good Friday. 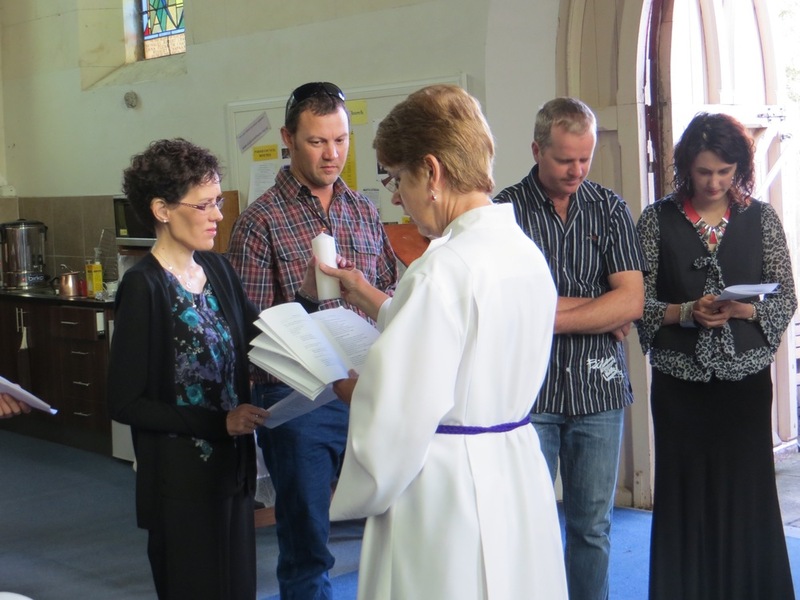 Good Friday was a time for reflection and readings. A white shroud was carried through the church and put in place by four women. A cross was then brought through the church and placed on the white shroud. This was then sprinkled with fragrant oil and leaves to remind us of the gift of the unnamed woman. 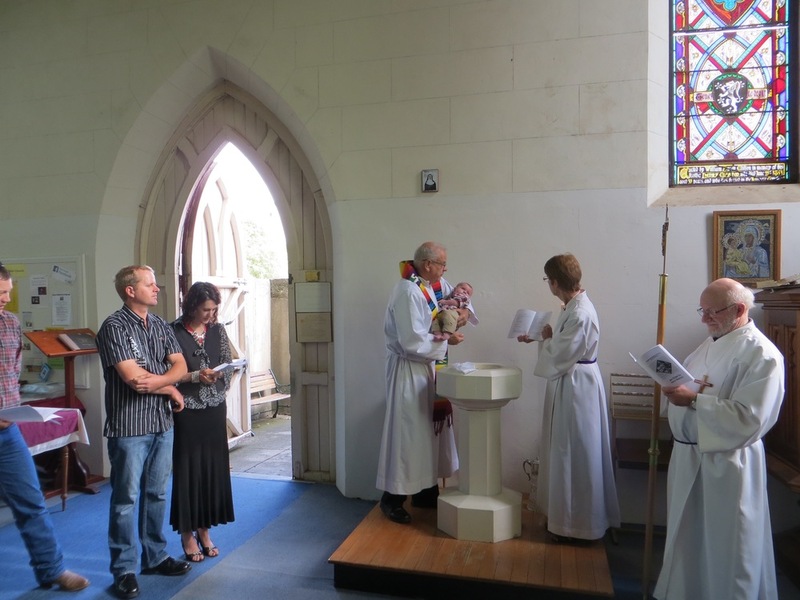 Easter Day started off with our Vigil Service at 7.00am and the lighting of the new fire and renewal of baptismal vows. What a great service that was. 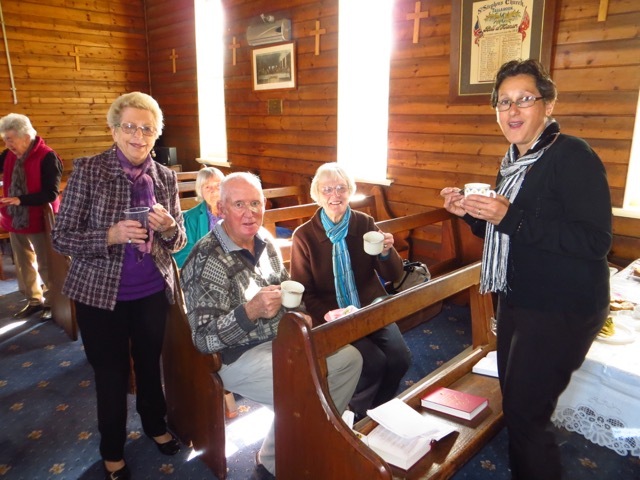 This was followed by breakfast in the church before the First Mass of Easter was celebrated at 9.00am. 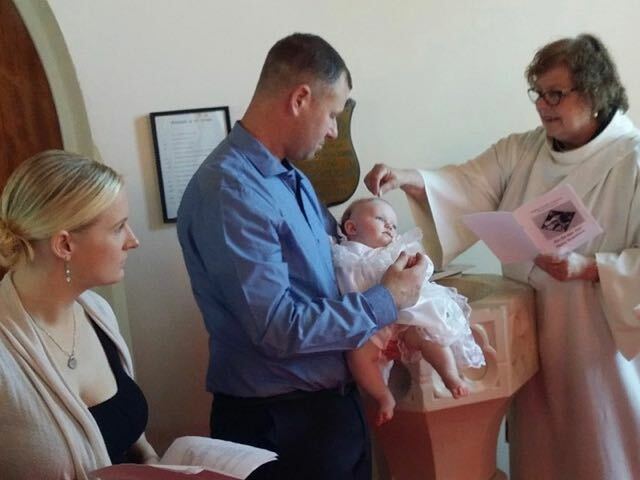 Sunday March 8th was certainly a busy day in our Parish. 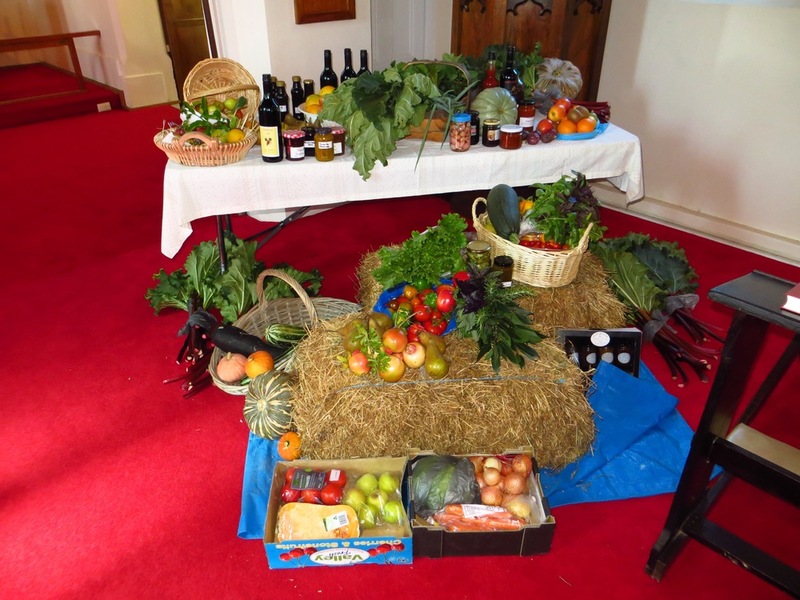 Our Eucharist was centred not only on the third Sunday of Lent, but it was also our annual Harvest Festival. 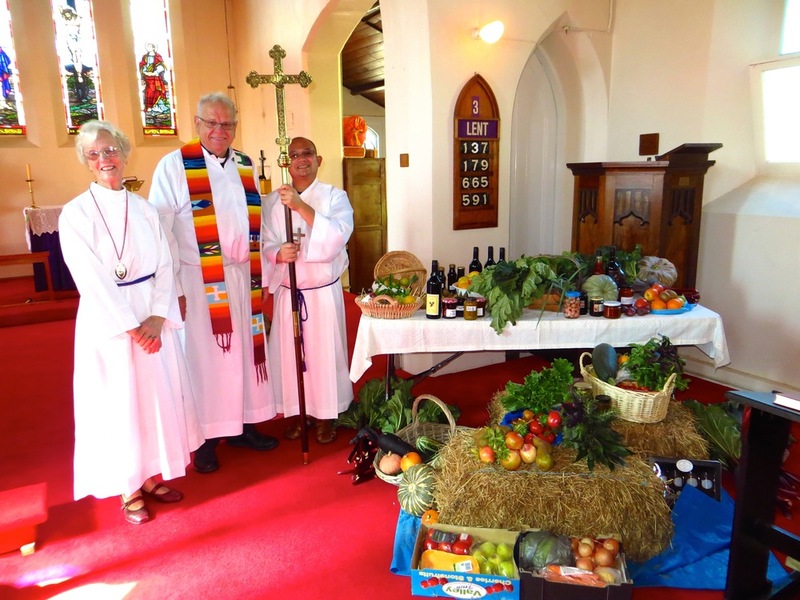 Gifts of home grown fruit and vegetables, produce and preserves were donated by parishioners and blessed during the service. 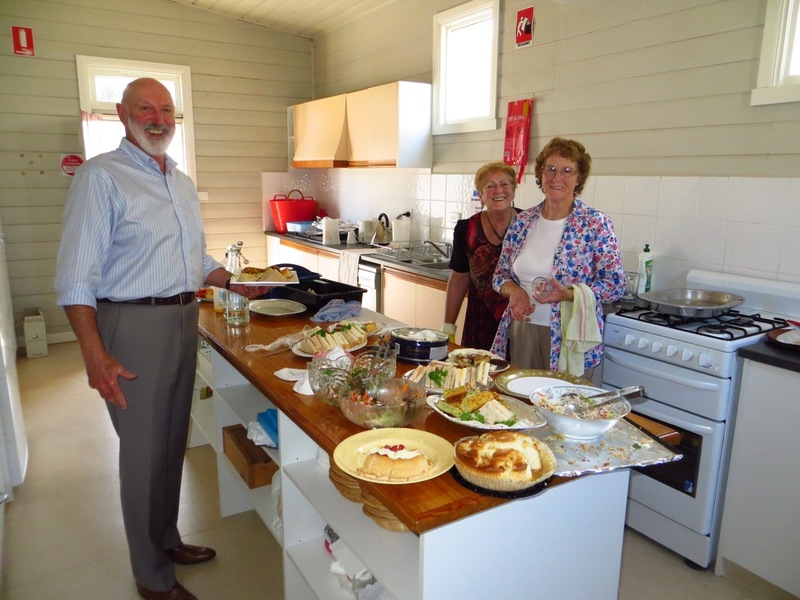 These goods were auctioned after the luncheon following the service, with money raised going towards Missions. 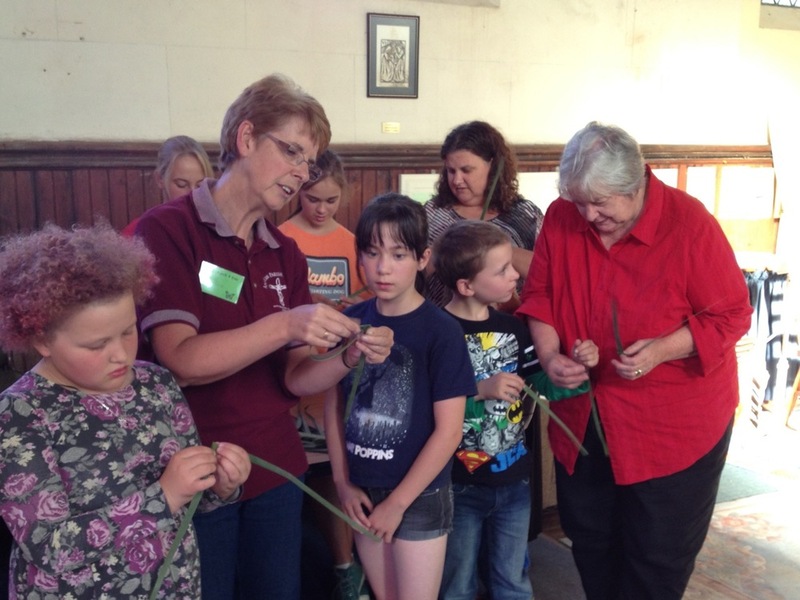 As well as our Harvest Festival, it was also our Parish Annual General Meeting. 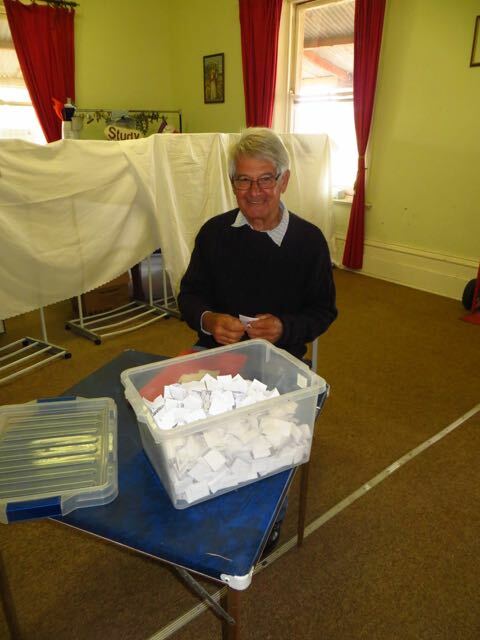 Parishioners gathered in Gavan Hall to go through the formalities of electing a new Parish Council for 2015. 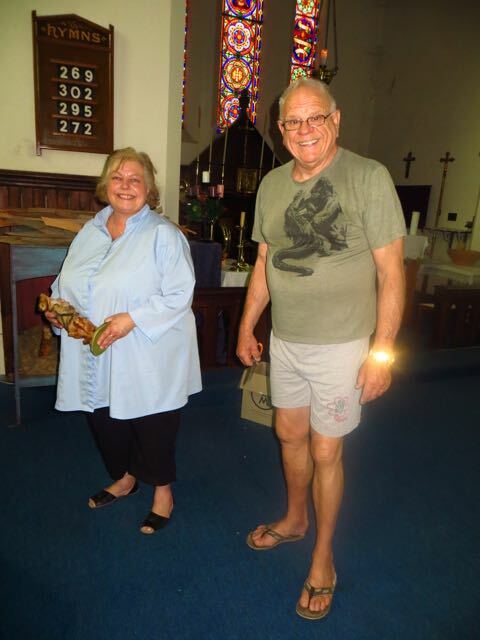 Our thanks go to outgoing wardens Sharner and Eric, and a welcome to Norman and Robyn as they take on their new role as Wardens for Christ Church. 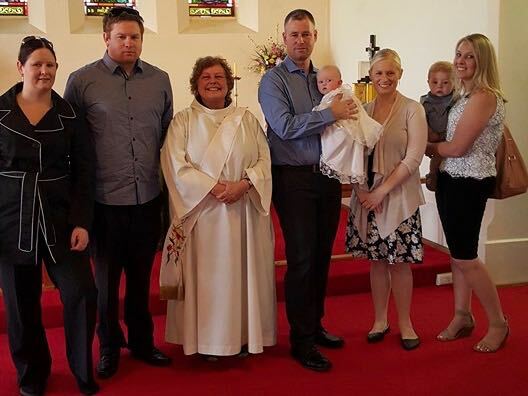 God's blessings to Arden James Farrell who was baptised on March 1st at Christ Church, Kilmore. 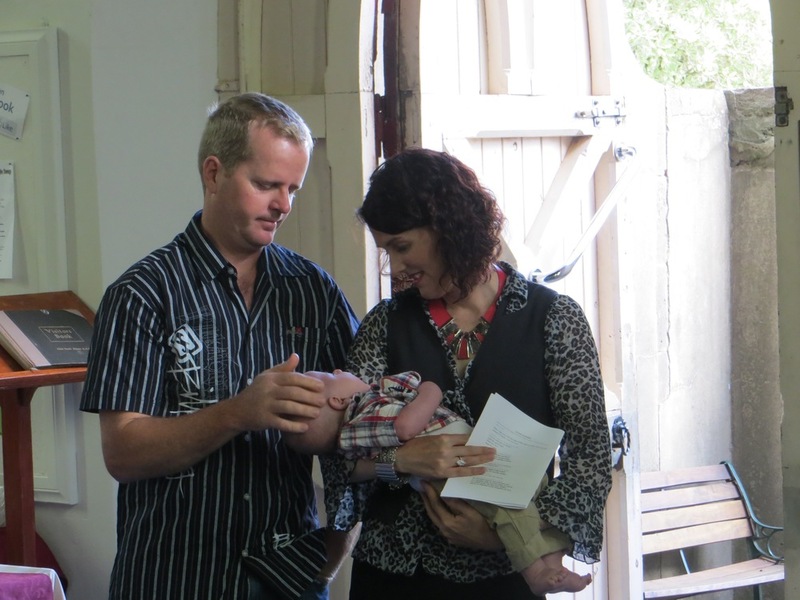 What a joy to share this special day with him and his parents Catherine and Steve, and Godparents Nicole and Michael. 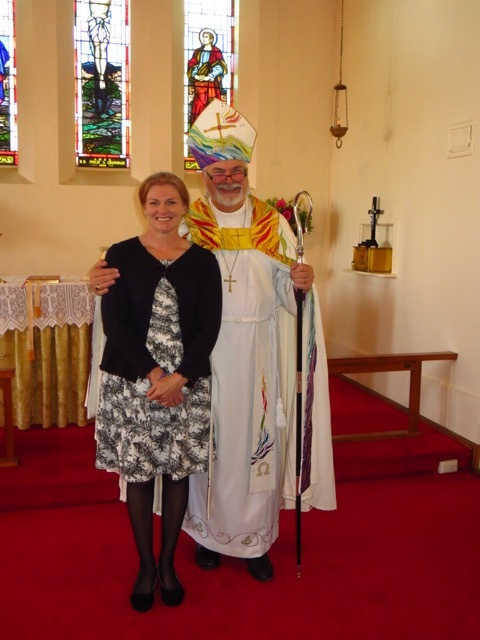 On Sunday 15th February we farewelled Jenny Pearson. 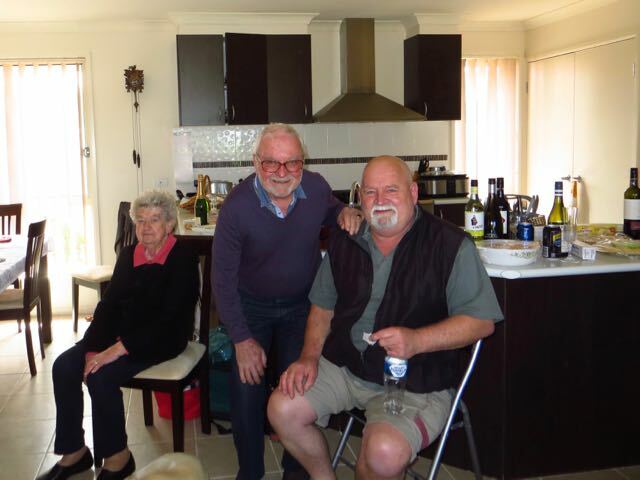 Jenny and her husband Neal are moving away from the parish to enjoy their retirement on the coast. 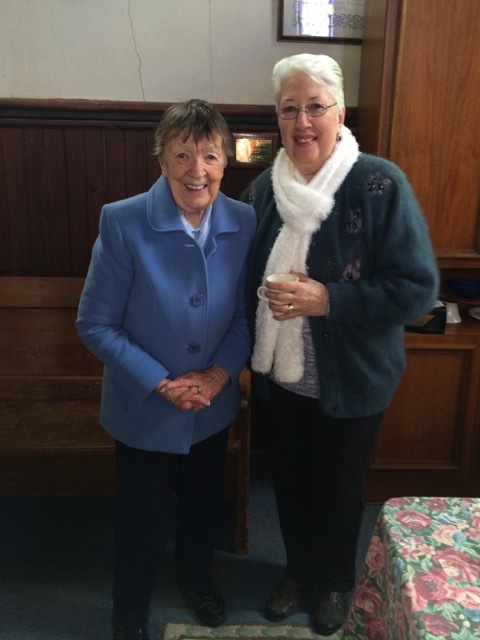 Jenny will be sadly missed by all at Christ Church as she was involved with Reading and Sidesperson's duties. 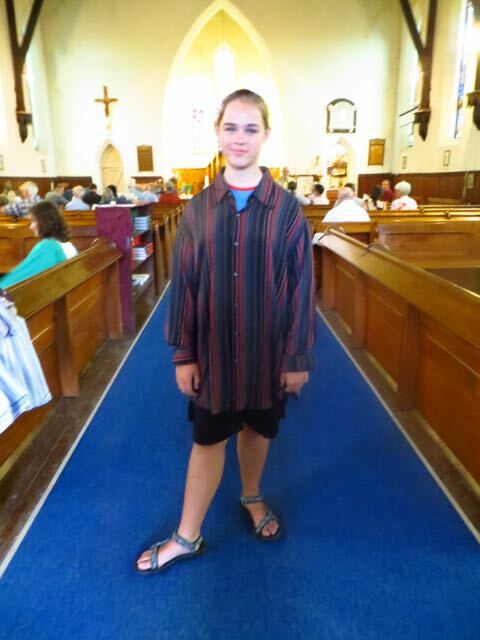 As well as this, along with Neal, Jenny made a huge contribution to the work at the Parish Op Shop. Thank you Jenny and Neal for all you have done for us.